Weather and news stations worldwide have forecasted the coldest winter ever…for Australia! So what can you do besides stashing up on winter jackets and making sure your reverse cycle or gas heaters are prepared for what’s ahead? Here’s a strong recommendation from Australian Outdoor Living. Consider installing some all-weather Outdoor Blinds! Here’s why. Consider Some All Weather Blinds This Winter. We never let the elements get in the way, be it the coldest winter or seething heatwaves, we always find a way to continue our outdoor living lifestyle. The key is to create an outdoor space that remains comfortable – even in harsh weather conditions. This is where all weather all-weather outdoor blinds come in. 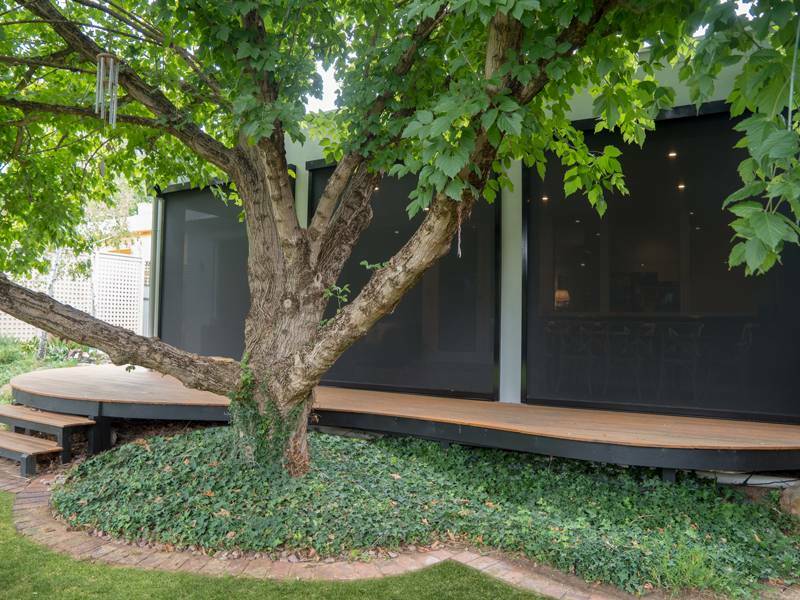 Many homes in Australia already feature a verandah or pergola. All weather blinds can be easily installed onto these structures to create an outdoor entertainment area that is shielded from the cold, rain, wind and harsh UV rays. Australian Outdoor Living’s range of all weather outdoor blinds are made from very durable, insulative fabrics that are designed to help keep out heat and cold. So why let the wintery weather stifle your outdoor lifestyle? Create a cosy outdoor space for your family and friends to hang out in during winter! With all weather outdoor blinds, you can keep dry, warm and relaxed – whilst still enjoying that outdoorsy feel. Ever wish you could better insulate your house during cold winter months? How would you like to be able to do that at will? Our Motion Series outdoor blinds glide up and down at the push of a button. You can leave them up when the weather is fine, and let them down when the rains and wind come. Have a 7 energy-star rated air conditioner and home heating system? How would you like to boost that and add a few more “official” stars to it? Home heating efficiency is largely dependent on the ambient temperature in a home. Trying to warm a home from a low 2°c to 18°c will take far more power than from a higher ambient temperature of 7°c. Installing a good set of all-weather outdoor blinds can significantly moderate the ambient temperature in your home. On a cold day, just lower the outdoor blinds to help block out the rain, cold and wind. The blinds act as a barrier that extends the separation between your home and the external elements. This works to keep your home’s ambient temperature higher, making it easier on your home heating system to perform its function. No worries, with the help of outdoor blinds! With Winds Come…Leaves, Dust & Debris! All Weather Blinds Increase Your Privacy. All-weather outdoor blinds not only keep your home comfy and help increase your privacy, they also reduce leaves, dust and debris accumulation within your verandah or patio areas. How many times have you swept your outdoor areas only to find them covered again (overnight!) with more leaves, sand from the garden and a thick layer of dust? This winter is not only going to be the coldest one, but weather patterns are also showing it will be windy. You’ll be glad if you prepared ahead of time with all-weather blinds. Our outdoor blinds are firmly extended when fully drawn. They provide a barrier from not only the rain and wind, but also debris, dust and leaves. Plan ahead for the rough weather with outdoor blinds for your home. The great thing about all-weather outdoor blinds is that they work beautifully, all year round. They not only benefit you in winter, they also work just as well in summer – to block out the heat from your home. Imagine having the option to create the perfect outdoor entertainment area anytime, at the push of a button. You can have your outdoor blinds extended fully for privacy, or when you are having a BBQ, and have them up when the weather is fine and you want some sunshine & natural breeze. The best thing is, it’s a one-time cost with long term benefits for all everyone at home – and visitors. Control Your All Weather Blinds at the Touch of a Button. Ok, so we know this is going to be one of the coldest winters on record, and you have read about the benefits of outdoor blinds and how they could protect and benefit your home. Now let’s take a look at what’s the best approach to choose the most suitable all-weather outdoor blinds. First off, you will need to decide where – which area of your home you want the outdoor blinds installed?. Usually this would be a verandah, patio, or pergola that you have setup as an outdoor entertaining area. Most home owners would put outdoor blinds around their BBQ area, so they can have a BBQ even when the weather isn’t ideal. Next, you will need to decide on the type of outdoor blind operation. Manual operation requires you to manually wind and unwind a mechanism in order to draw or extend the outdoor blind. This mechanism is of a good quality and very simple to operate. Manual operation is quite popular with home owners who do not need to draw or extend their outdoor blinds too often. They are also the more cost-effective alternative. 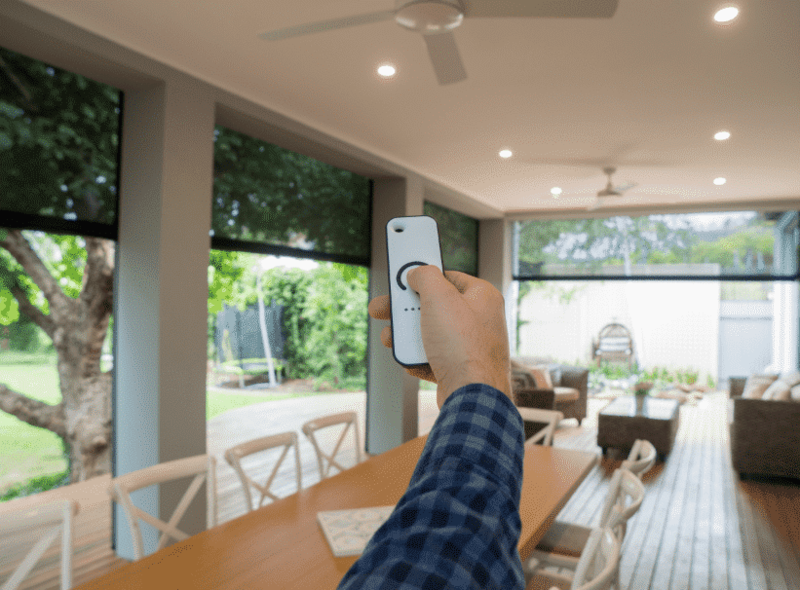 Motorised outdoor blinds, like Australian Outdoor Living’s Motion Series Blinds, feature fully automated controls. You can draw or extend the Motion Series Blinds simply by pushing a button. Our Motion Series Outdoor Blinds are ideal for home owners who love sophistication and the convenience of easily controlling their outdoor blinds. Just fill out the Free Measure and Quote form on this page and one of our friendly consultants will be in touch with you. They will be able to guide you from start to finish and deliver the best customer experience on your project. When it comes to all-weather outdoor blinds, we strongly recommend that you go with a premium, trusted brand to ensure you get the best quality blinds and after-sales care. Australian Outdoor Living is one of the largest outdoor blinds companies in Australia. 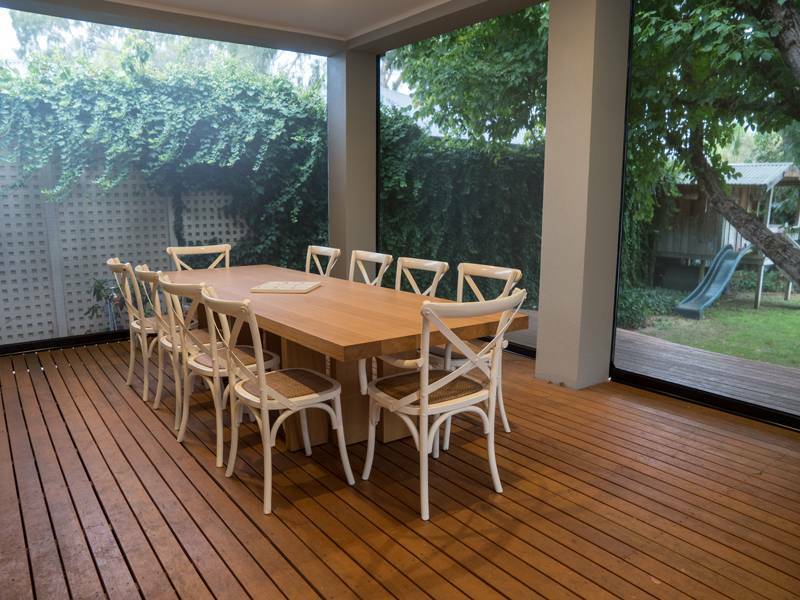 Our outdoor blinds are custom manufactured to the highest standards right here in Australia. *Please note that the full range of Australian Outdoor Living products is only available in South Australia. Check with your local AOL team on product availability in your area.